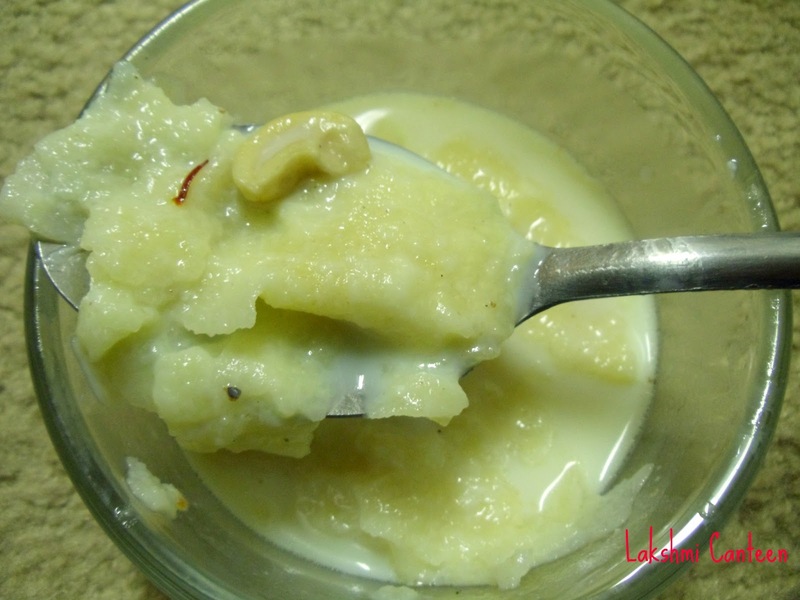 Appi Paaysu is a very rich milk based dessert. 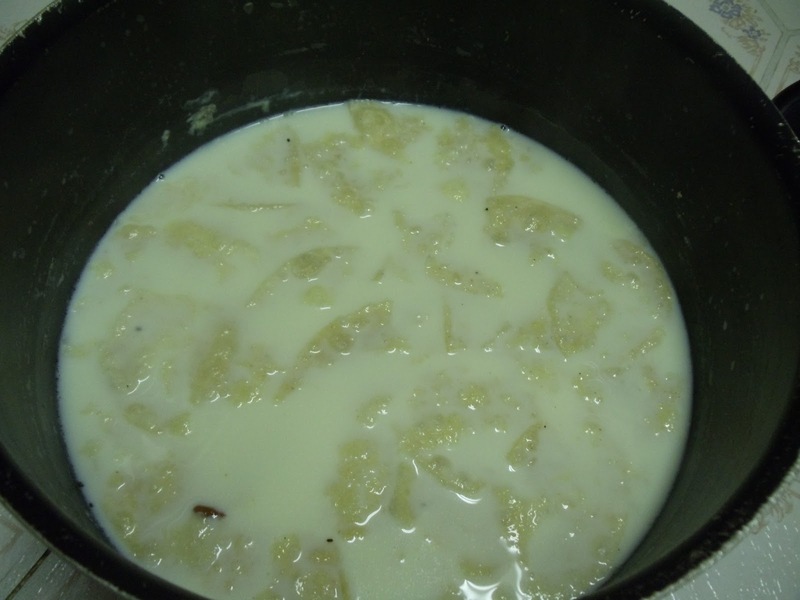 It is similar to rice pudding. 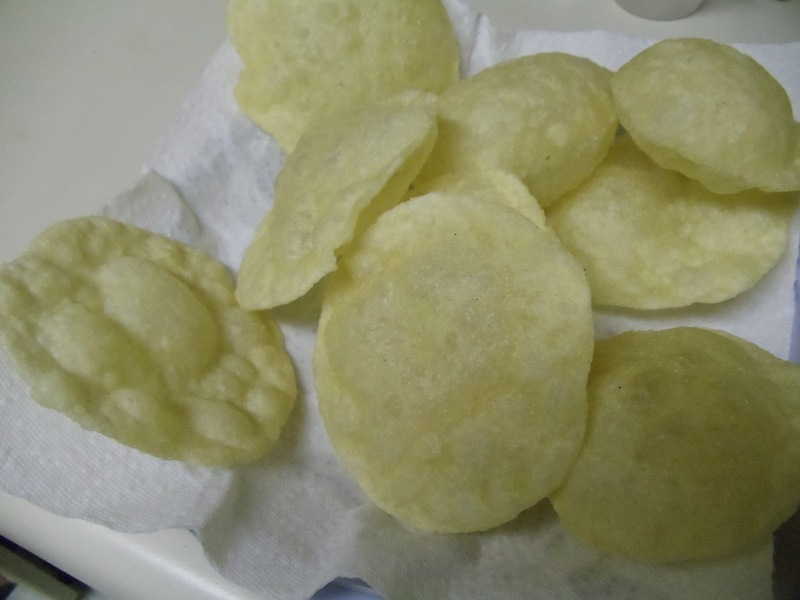 Here instead of rice, crushed pooris are added. One more way to satisfy the sweet tooth:-) I am a big fan of this dessert. I had this dessert only few times, that too in wedding functions. My amma never made this at home. I got this recipe from my aunt but not the measurements. I made some rough calculations, without knowing how it would turn out! Aaah.. All went well and I was happy with the result. When I was approaching my 100th post, I kept on thinking as- what would be that special post? I had few recipes in my mind and finally settled with this. The journey from 1st post to 100th was not at all tough. Posting the first recipe itself was a tough thing to me. Even though I enjoyed cooking, I didn't have that confidence in me that I can write a blog. All the credit would go to my dearest husband for encouraging me- to cook as well as write a blog! I am also thankful to my parents, in laws and all my dear ones who joined me in this cooking journey and encouraged me to post more recipes. Not to forget my brother in law- he was the one who suggested the name to my blog- LAKSHMI CANTEEN. I always believe cooking is one of the way to impress your loved ones. Eat healthy and Happy cooking:-) Enjoy making this Payasam..
To make Poori- Take all purpose flour and rava in a bowl. Mix it well and add a tea spoon of oil. Again mix it well so that all the particles get a light coating of oil. 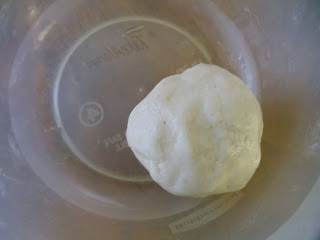 Now add water as required and make a stiff dough. Once the dough is ready, coat it with few drops of oil. Close it with a lid or damp cloth and let the dough rest for 15 minutes. 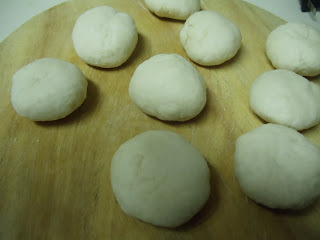 After 15 minutes, knead the dough for 1-2 minutes and divide the dough into 8-10 small balls. 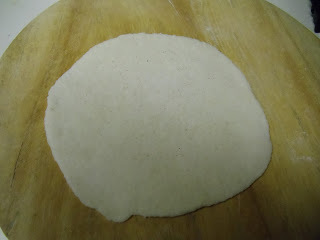 Now start rolling the ball into circle of 5-6cm of diameter (just like the size of a medium poori). Use All purpose flour for dusting. Repeat this process for rest of the balls. Then fry these rolled pooris in ghee/oil (ghee would be preferred. If not use fresh oil). Pooris are ready. Half of the work is completed! 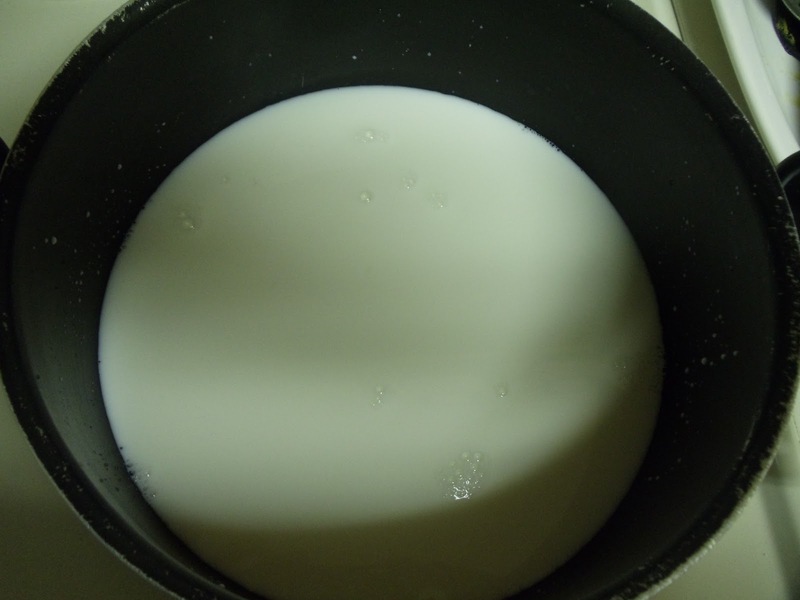 Now to make saffron milk- Take milk in a pan and start heating it on medium flame. Keep stirring to prevent it from burning. Add crushed saffron to the milk (you can as well dissolve it in few tea spoon of hot milk and then add it). After 7-8 minutes, add sugar and mix well. Continue heating for 3-4 minutes and turn off the heat. Add cardamom powder and mix well. Now crush the pooris using hand (I just added 7 poories out of 9). Add these pieces to the saffron milk. Let this rest for 15-20 minutes. 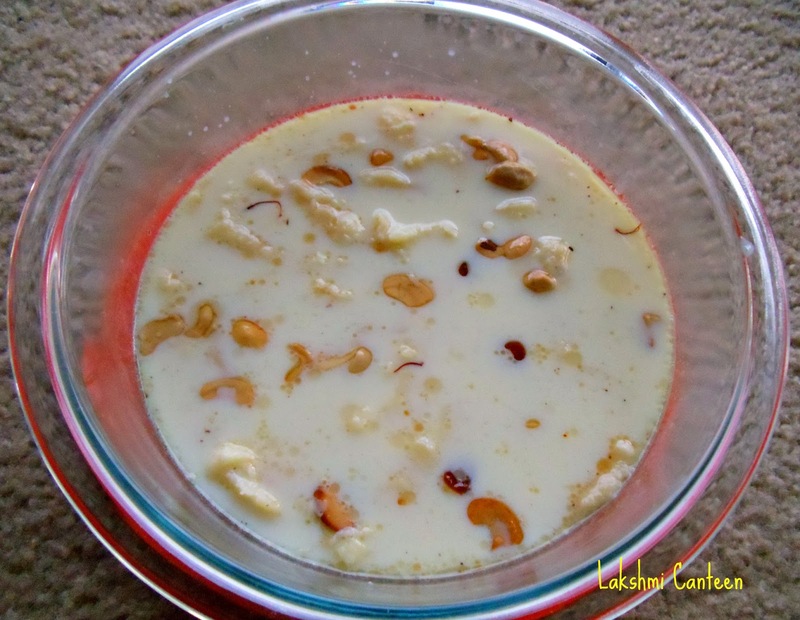 Garnish it with cashews and raisins roasted in ghee. Appi Paaysu is ready!! It tastes best when chilled. Above measurement serves 2-3 people. Nice yo know that you enjoyed browsing through the recipes Shyamala. Let me know how it turned out. Thanks for visiting the blog.